Where do you go when you need reliable and efficient power? 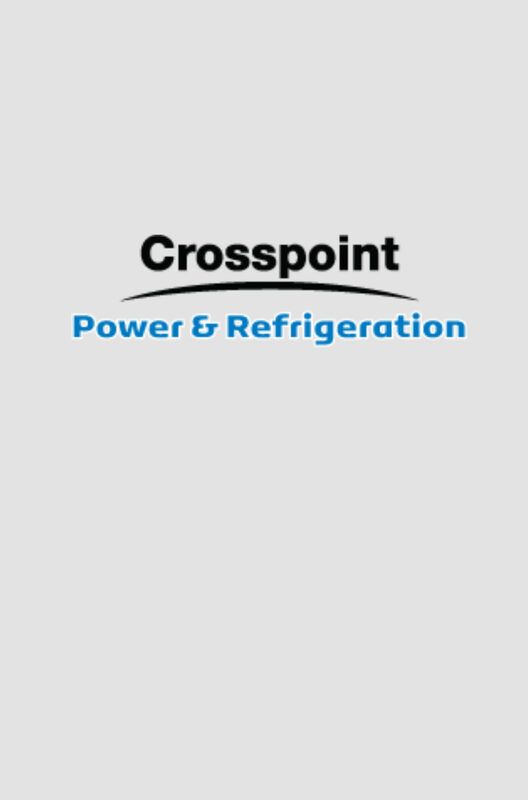 Here at Crosspoint Power & Refrigeration, we are focused on providing our customers with a high-quality power system that you can depend on. 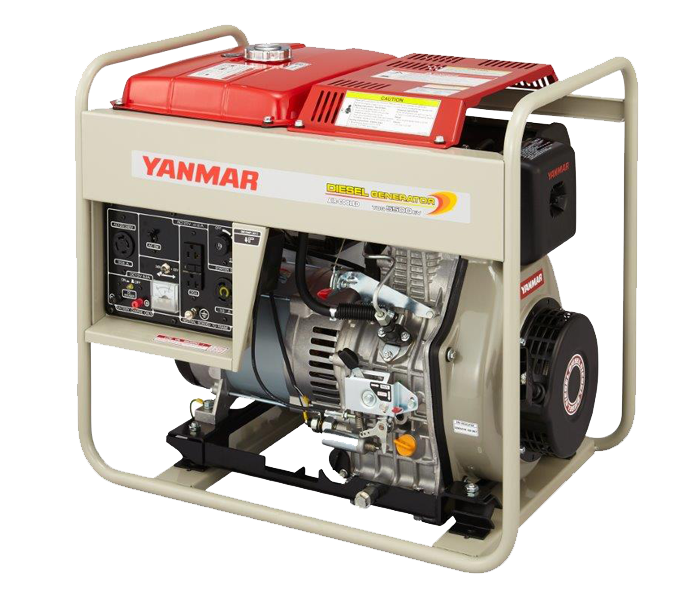 Whether you need a small diesel generator to power your job site or a larger generator to power your office or commercial production facility, we sell and service the Yanmar YDG series generator along with our reliable Ford and Yanmar engines coupled with the industry leading MeccAlte Alternator. Need portable power for your jobsite? The extra-lightweight YDG is as easy to move around as most gasoline units. And it’s easy to store, too. Yanmar has achieved this by linking together the small air-cooled diesel (the Yanmar L-A type) with a highly compact and light U-frame generator. The size and weight trimming allows you to take these ‘open-type’ sets anywhere. An AVR (Automatic Voltage Regulator) gives low-fluctuation power delivery at a selection of voltages from 110V to 240V. Each model also makes available 12V D.C., which is very useful for charging car and boat batteries. A single tank of diesel will keep these air-cooled gensets on the go for 6 to 15 hours. Their low fuel consumption from features like direct injection, give savings with every tank of diesel. Despite their compact size, they have a utility-size fuel tank, so you can leave them running all night. The engine and generator rest on inclined rubber blocks. This improved mounting system takes away both vertical and horizontal vibrations, leaving you with a smoothly purring engine. Noise prevention measures are taken at several levels: at intake, in the combustion system, and through the well-muffled exhaust system. With a short 70 cm stroke of a recoil starter, the engine jumps to life. Auto-return decompression makes starting easy and quick even when the temperature is low. Units are available with standard or electric starting. The chance of damage due to low oil-level operation is reduced with a Yanmar genset. An alarm is activated and the engine stops as soon as the oil falls low. In addition, the outlets on the control panel are recessed and the muffler is enclosed with a cover. Fewer parts mean fewer maintenance worries – inspection is easy and adjustments simple. Pressure lubrication feeds oil to vital parts, and high quality materials give first-class durability. Crosspoint Power & Refrigeration sells the Ford and Yanmar engine coupled with an industry leading MeccAlte generator. These generators are spec’d and built according to the required voltage, load, and fuel type. Our prime power generators ensure a reliable and continuous power supply. Class H Insulation is standard. The windings are vacuum impregnated with EG43 varnish which protect the high voltage components of the alternator. Along with the insulation, all alternators come with IP23 or better ratings. This protects the alternator from water spray less than 60 degrees from vertical. The digital AVR makes controlling the output voltage range a breeze. It also protects the alternator from damage in an overcurrent situation. Any faults are automatically recorded. 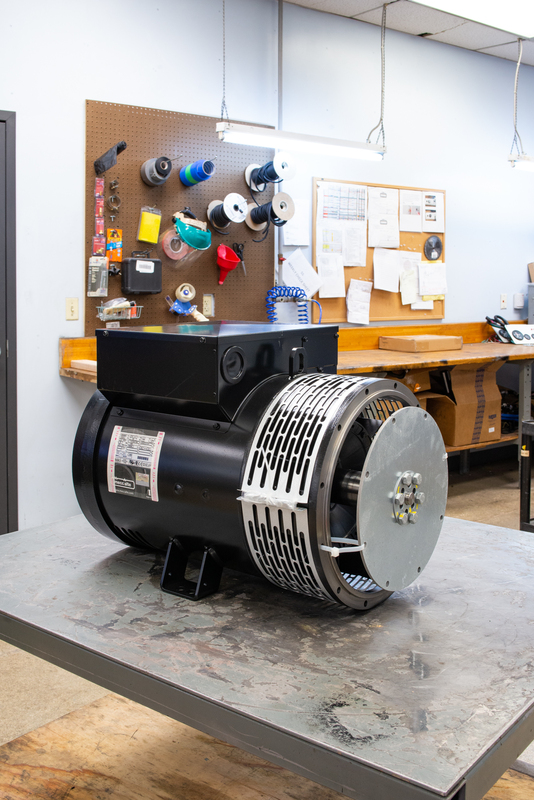 Our AVRs are powered through a separate winding on the alternator, which means the AVR can control the voltage independent from the load. Our generators can be purchased with an optional Deep Sea Control Panel. These generator control panels are the industry standard gen-set control panels for both diesel and gas gen-sets. These controllers monitor both the engine parameters and the generator output and can shut the system down if a fault is detected.